Back during the Nintendo 64 generation, Nintendo EAD released Wave Race 64 and then followed it up a few years later with the extreme sports title 1080° Snowboarding. A second installment called 1080° Avalanche (developed by NST) was then published for the GameCube in 2003. Since then, Nintendo’s done pretty much nothing with the IP except re-release the original game on its digital services a few times over. So, what’s there to look forward to? Well, there might be a spiritual successor to this series on the way. 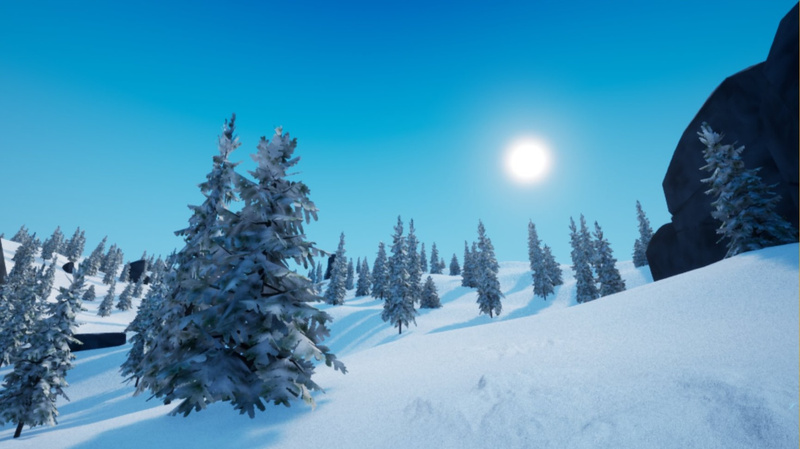 Vitei CEO Giles Goddard recently revealed on Twitter how he’s currently prototyping a new snowboarding game. What’s so interesting about this is that he was previously the main programmer and program director of 1080° Snowboarding and various other Nintendo games including Steel Diver on the 3DS and Tank Troopers on the 3DS eShop. According to Siliconera, it’s unclear if this snowboarding game would recreate the classic one-on-one formula of the original Nintendo series, but Goddard has explained how he wants to see the game released and needs help spreading the word so he can find somebody willing to fund the project. Would you like a new snowboarding game created by a former 1080° programmer? Tell us down below. Welcome to the late 90's. The snowboarding and traditional 'n now dated survival horror fad were both in full swing those days! Work your body, work your body. I hope this works out because the snowboarding genre is in a sorry state. I'm more interested in a new Wave Race or spiritual successor to that particular game series. This would be heavenly, especially if it actually took the best bits of classic 1080. Game has aged remarkably well and just FEELS so good to play, it's fantastic. Well isn’t this something?! Would be all over this. I still play 1080 and Waverace64 regularly. Both better than the GC games in my opinion, both feel right and are still so satisfying to play. I’m more than mildly tumescent for this - I loved 1080 and the wave race games so I’d buy this in a heartbeat. On a different note, am I the only one who preferred Blue storm to the original wave race? Really enjoyed 1080° back in the day. Honestly though, Nintendo should just give us a N64 games via Nintendo Online + have them render at a higher res/ provide Labo VR support and we are golden. Same goes for Wave Race. If those game attract enough attention, they should definitely consider a sequel. At this point, the main reason I use this website is for the cringe-filled yet wholesome subtitle for each post. Thank you for your service. This is a test, this is only a test! I've been good since Microsoft added SSX3 to the backwards compatibility list on Xbox One. EA should port over the SSX from the 360 though. Might make up for being cruelly denied STEEP. @Thesharkfromjaws Yes it does, doesn't it? The 1080 series captured that real snowboard feel and speed far better than any SSX game ever has, even though these were certainly also entertaining, but to me the sometimes too far over the top tracks made it more like a crazy arcade racer, than an actual snowboard game. With 1080, I actually felt like how it feels when I myself am hitting the slopes, which is actually quite the achievement, for a game. @JayJ 1080 snowboarding / avalanche had nothing on SSX Tricky. @andykara2003 I’ve recently been playing through my GC classics again now that I’ve got my Carby set up. Blue Storm still looks great and is really good once I remembered how to master the ahem tough-to-master controls. The original though just has that feeling of perfection. The controls are spot on, the courses are varied and memorable, the AI is tough, the music is great. It feels so rewarding, nailing those waves and perfecting the corners. Blue Storm is definitely more of the same (and is great) and with shinier graphics. However I just don’t feel quite the same magic. I love them both don’t get me wrong. @NotoriousWhiz I disagree. Played a lot of SSX Tricky multiplayer with mates back in the day and it was a lot of fun but I’d always play 1080 single player (and still do) as the sense of speed and challenge are superior in my opinion. @beazlen1 Completely agreed. Especially if you take into account that SSX needed the turbo boost gimmick to get a real sense of speed, which was nothing like the real thing, obviously. So, if you add realism to the list, then besides a small handful of slightly arcadey things, 1080 definitely comes out on top, by a landslide. SSX games are great and fun arcade racers, but even though the latest installment came somewhat closer, they're simply not a good representation of the actual sport, and for people who are into more realistic snowboarding games. @andykara2003 No, you're not. Although, I have to say, I think, I like both games nearly equally. But still, I don't get the somewhat negative reception of Blue Storm. I miss the Nintendo sports franchises. I really don't like sports games much but I always enjoyed the first party ones like Wave Race, 1080, Ken Griffey games, and whatever else they made, I know there's more. @Migoshuro agreed, I didn’t understand the negativity NST got - I used to love that studio. I NEED THIS IN MY LIFE. Gimme gimme gimme. With steep not coming, I was teased and left empty. Please someone give me a good snowboarding game. @ThanosReXXX we could all chip in and see if we can fund an 1080 HD remaster. Could get Grezzo on board. Got a spare couple of Ks lying around? @beazlen1 Sorry, man. Sent them all to the Notre Dame. But seriously: wish I had that kind of cash. I want both a new 1080 and Wave Race so bad, that if I did have that kinda cash, I'd fund them all on my own. Shield TV already have a proper snowboarding game running at 1080p/60. It runs on same GPU as Switch, but it would maybe run at 720 or 900p on Switch as Shield TV runs at 40% higher speed. @RadioHedgeFund Agreed. I sometimes feel like the only person on earth who liked SSX 2012. Sure, it's not as good as SSX 3, but nothing else is or ever will be. I also like Avalanche more than the original 1080, so maybe my opinions should just be ignored. @ThanosReXXX So true. SSX was tons of fun, but 1080 has that 'real' feel. @judaspete never! Avalanche was a much better game and still holds up today. Little details like the flapping clothes in the wind and snow getting all over you when you fall over are sublime. Plus you can snowboard on a NES pad. I always saw 1080 Avalanche and SSX3 as different beasts, one focused on racing, the other on tricks. And Avalanche was much harder. I got the secret platinum medals on most levels on SSX 3 but some of those later tracks on 1080A were demons. @arekdougy Indeed. I liked both series well enough, but only one of them came close to the real thing. @RadioHedgeFund Ha! Glad to hear I'm not the only one who prefers Avalanche to the original. And yeah, while I do think SSX 3 is ultimately the better game, the two have a different focus. Fans of the genre would be wise to own both.